Theresa May has written to Jeremy Corbyn dismissing his calls for a customs union but welcoming further talks. The letter comes as the prime minister accused of running down the clock in order to force MPs to back her Brexit deal. 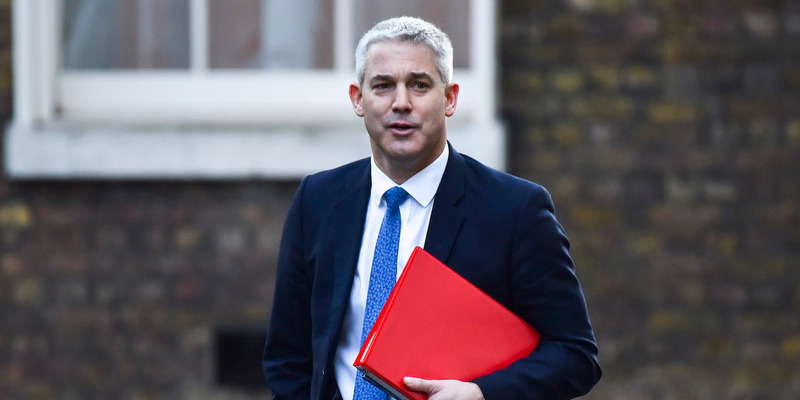 Brexit secretary Steve Barclay is heading to Strasbourg for talks over the Brexit deal today. The EU is not planning to offer May the concessions she has asked for. LONDON - Theresa May has been accused of running down the clock in an attempt to force MPs to back her Brexit deal, after she called again for more talks with Labour leader Jeremy Corbyn. Writing to the Labour party leader on Sunday evening, May dismissed his calls to remain in a customs union but backed further talks as the prime minister seeks to buy more time to renegotiate her Brexit deal in Brussels. In an unusually conciliatory letter, May told Corbyn that both parties should discuss how "alternative arrangements" to the Irish backstop - a mechanism designed to avoid a hard border - might work. She also said she was "grateful" to Corbyn for meeting her last week, but ruled out remaining in the customs union - one of the Labour leader's demands for supporting her deal. Responding to his letter of last week, May wrote: "It is good to see that we agree that the UK should leave the European Union with a deal and that the urgent task at hand is to find a deal that honours our commitments to the people of Northern Ireland, can command support in Parliament and can be negotiated with the EU - not to seek an election or second referendum." But in a bid to win over potential Labour rebels, the prime minister made a concession on environmental and workers' rights, dismissing Corbyn's call for full alignment with the EU but proposing a Commons vote every time they changed. 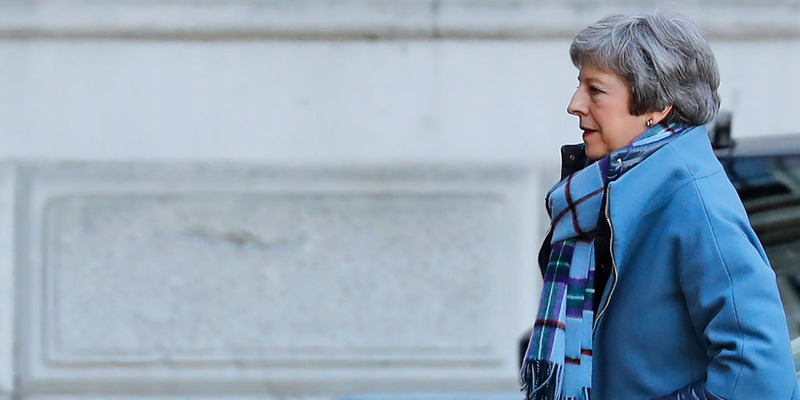 However, the prime minister's letter comes amid growing concern both inside and outside her Cabinet that the prime minister is trying to run down the clock until March, when the UK is scheduled to leave the EU, so parliament is forced to support her current deal or leave with no deal at all. Some believe the best chances of forcing a vote sooner than March lie with Labour. Shadow Brexit secretary Keir Starmer said on Sunday that they could table an amendment which would force a vote to be held by February 26. Starner said on Sunday that he believes the prime minister is "pretending to make progress" in negotiations with the EU, while "cynically" running down the clock. "We can't allow that to happen," Starner told The Sunday Times. "There needs to be a day when Parliament says that's it, enough is enough." Meanwhile, Brexit secretary Steve Barclay and EU negotiator Michel Barnier will hold talks in Strasbourg later, with negotiators ready to discuss potential changes to the deal negotiated last year. The prime minister's Brexit deal was rejected by a huge margin in the Commons last month, and she remains officially committed to renegotiating it as soon as possible. But there is a growing recognition that she will not be able to make any changes until the end of February at the earliest. She re-opened talks with the EU last week in a bid to secure concessions that rebel Tory MPs could support, but she is highly unlikely to secure the changes to the backstop she is seeking. Negotiators from the EU, backed by member states, are refusing to water down the Irish backstop, which a majority of MPs wish to see scrapped altogether. If, as expected, the prime minister doesn't secure any concessions from the EU by Wednesday, parliament will vote on alternative options on Thursday. She will also promise that if she hasn't brought a renegotiated deal to Parliament by the end of February, MPs will again be able to vote on what should happen next. Communities secretary James Brokenshire confirmed on Sunday that if no revised deal were put to the Commons by February 27, MPs would again be given an amendable motion, meaning they could vote on preferred ways forward. "If the meaningful vote has not happened, so in other words things have not concluded, then parliament would have that further opportunity by no later than 27 February," he said.